TPHE have been awarded Best Conference (QLD) for the Non-Surgical Symposium 2017 at the Australian Event Awards. 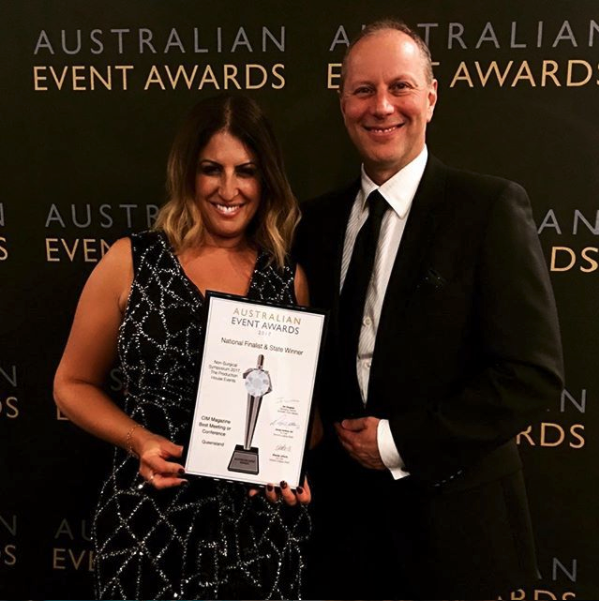 Now in its ninth year, the Australian Event Awards are considered the most prestigious prize of its kind amongst industry leaders and event organisers from around the nation. Competing against TedX and other incredible conferences, TPHE were humbled to be among national finalists. General Manager Gina Samuels and Managing Director Harry Samuels accepting the award on behalf of the team.